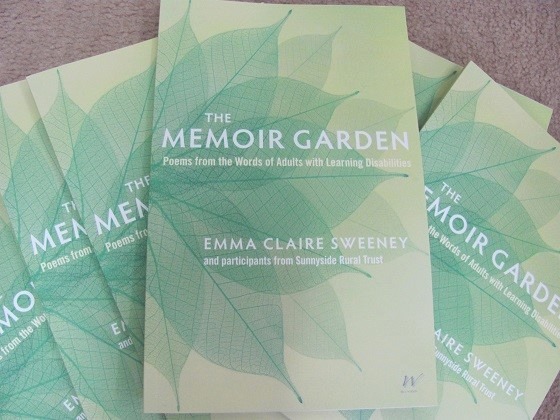 The Memoir Garden poets have been spreading the word about our collection of poems from the words and experiences of adults with learning disabilities. The collection proved such a success locally that Waterstones in Berkhamsted restocked for the third time, we ordered a second print run, and held a London launch, kindly hosted by New York University in London. A few of us also had the great privilege of being interviewed on Radio Dacorum, and of giving a presentation at Dacorum Mencap’s AGM. The Memoir Garden short film shows some of the poets reading their work. The London launch was a wonderful occasion. I’m so glad I could be there.